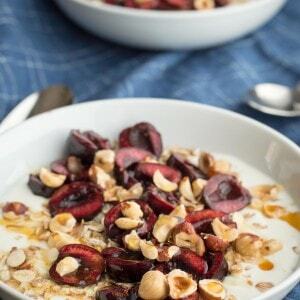 Cherries are hands-down my favorite breakfast bowl topping, and during the summer, this no-cook combination makes a perfect start to the day. You can use just about any stonefruit here — peaches, plums, or nectarines would be equally delicious. 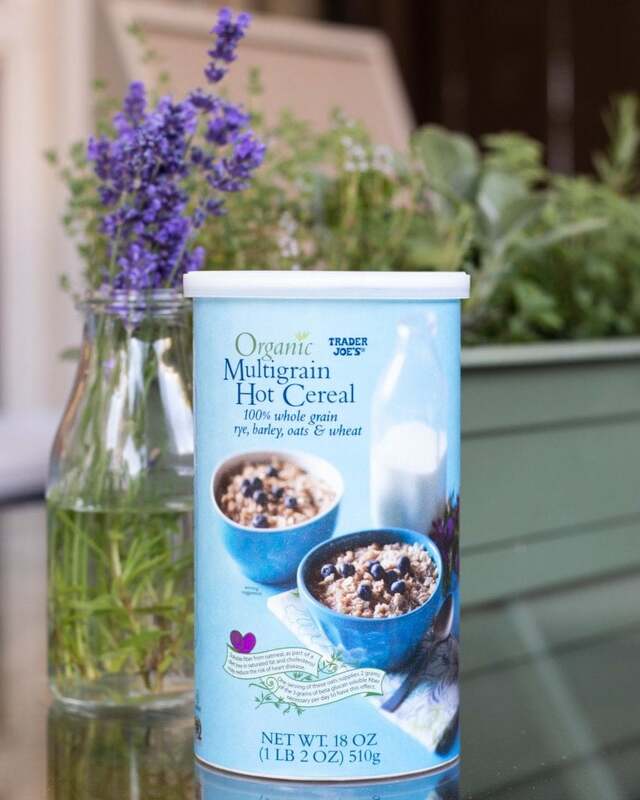 Lately, I’ve been loving the Organic Multigrain Hot Cereal from Trader Joe’s. 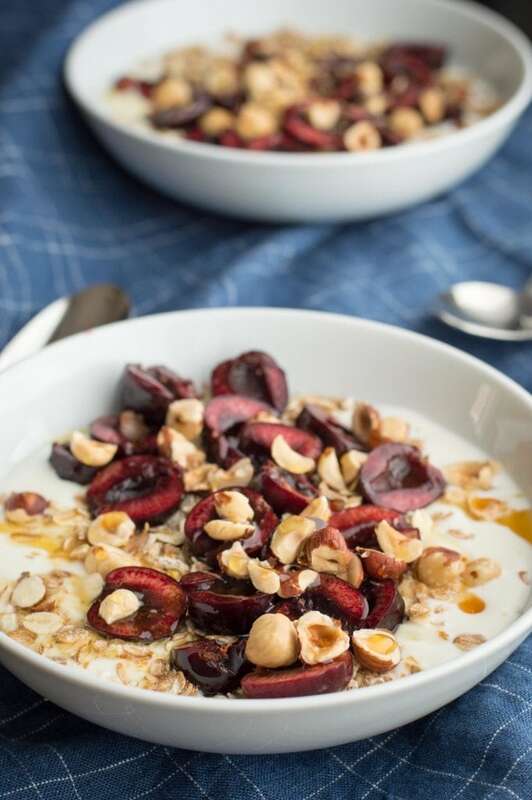 I used it in my muesli last month, and have found that with just a light toasting in the skillet or toaster oven, it makes a nicely crunchy and healthful cereal, no other treatment required. Just add a handful of cereal to a small skillet over medium heat, shaking occasionally until fragrant and lightly browned. If you’re normally a boxed cereal eater, try this whole-grain, less processed alternative. Thanks to the fresh fruit on top, just a couple teaspoons of agave nectar add plenty of sweetness (and you can add less or leave it off if you like). Whether you measure by volume or weight, I’ve got you covered here. I like to go by weight for recipes like this — I just place my bowl on the zero’d scale, then start pouring in my ingredients without having to dirty any measuring cups or spoons. 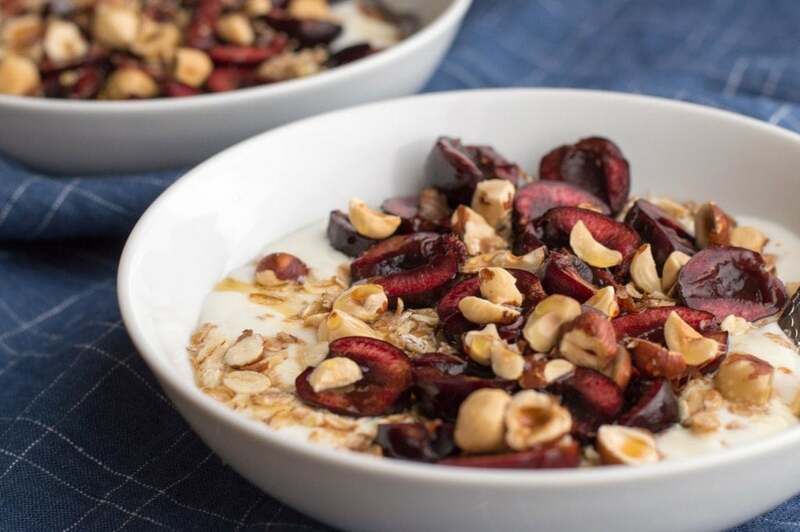 A lightly-sweetened bowl of yogurt, whole grain cereal, fresh cherries, and roasted hazelnuts. The perfect summer breakfast.